Heroes to Hero Foundation Scholarship – Applications are available in guidance office and MUST be turned into guidance by May 1, 2019. Become a Ram for a Day! GCHS Video: Livin on a Prayer! GCHS Secret Formula is Missing! 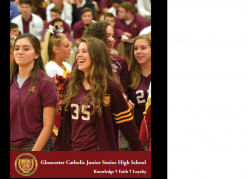 Copyright © 2019 Gloucester Catholic Junior Senior High School. All Rights Reserved.